4.9/5 out of 573 votes. 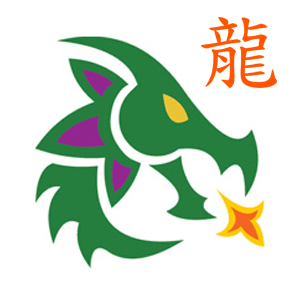 Dragon Chinese Daily Horoscope for Today, Tomorrow and the Day after Tomorrow. All the latest information you need about Dragon Chinese Horoscope and updated Daily. With today's energy, you might want to let your imagination run free for a while. This can add a real boost, as it will connect you with your inner self. Let your imagination be your ticket to your creative and artistic abilities. Problem-solving skills can also be accented or realized when the mind has time to roam. This part of you is as important as your heart, so use it to the fullest. If someone takes too long to do something today, your temper may flare up. Patience isn't always your strong suit, and you may believe in the "if you want it done right, do it yourself" philosophy. This isn't always fair. Others need to do things at their own pace, and in some cases, it's essential that you give them the room to do so. Take a deep breath if you have to, and be patient. You've reached a climactic time of year regarding love and romance. This is the time when your dream finally materializes or you realize that all your efforts are failures. It all depends on how you played your cards over the past few months. This is one of those moments of reckoning when you face reality. You must bring your craft to the landing strip and check in with mission control.